Personal care products are available from many sources, but the best quality products are those carried at professional establishments like ours. Don’t be fooled by imitations and imposters. To ensure you receive a consistent, exceptional quality product, be sure to purchase your goods from authorized salon professionals. Experience the difference by using the fine products we use every day and make available for purchase by our clients. We can recommend just the right product to meet your needs. If there is a product you are looking for but do not see in store, please let our staff know and we may be able to order it for you. 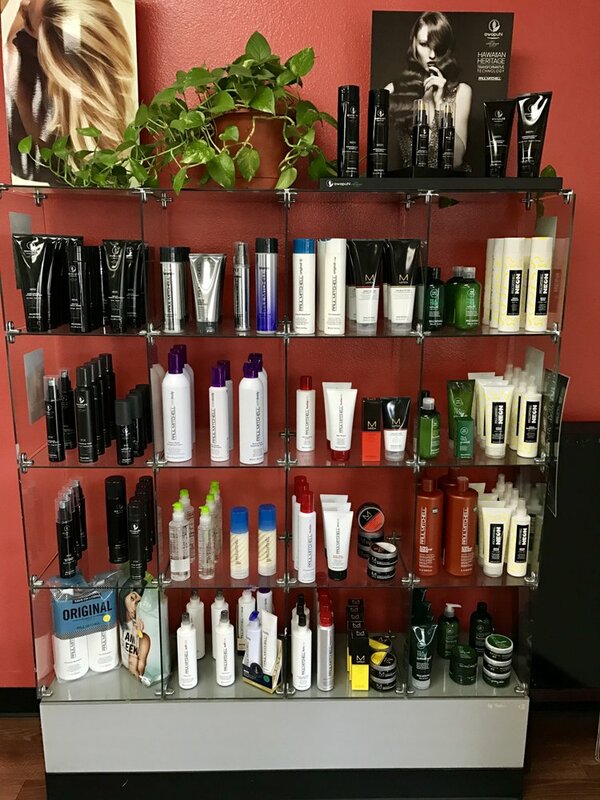 Stop in to the salon to see what lines we carry and to purchase your hair care items. American Crew product line, the leader in men’s grooming, is simple, easy to understand and easy to use. The products have a clean, refreshing masculine scent. All American Crew hair care products are water-based and contain natural conditioning agents such as rosemary, sage, thyme, ginseng and aloe providing gentle, effective therapy to the sensitive, often neglected skin of the scalp. It’s all about looking good. Kenra products are specially formulated to achieve premium results. Their performance is enhanced when products are used together in overall haircare systems. A world-renowned team of Nioxin researchers have developed the most advanced, natural based system to improve the appearance of fine and thinning hair – NioxinÂ® Bionutrient Formulationsâ„¢. Each product is designed to create and maintain an optimum scalp environment in order to address the problems associated with thin-looking hair. TIGI products are specifically designed for every type of hair — from normal, naturally dry hair, and chemically treated, to totally overstressed hair, TIGI has the tools to complete your lifestyle. Research has discovered new information relating to the specific needs of hair and TIGI has incorporated products to cater for the entire spectrum.